Turn your day of travel into an action packed adventure with the Safari Float Adventure Connection! 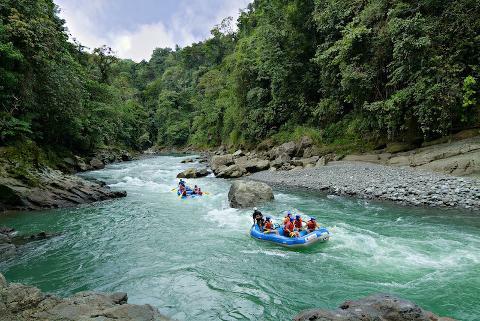 Enjoy the tranquility of the lower section of the Rio Tenorio on this easy-going, nature-lover's safari float. Your eagle-eyed guide will paddle and steer your raft as he points out the wide array of species of plants and animals. Spot howler monkeys, lizards, crocodiles, and even river otters, plus an incredible amount of tropical birds such as ospreys, boat-billed herons, parrots, and kingfishers! After your adventure, relax in the local restaurant and enjoy a delicious lunch before heading to your new destination! The Safari Float is great for nature lovers of all ages – children love this tour! Its also perfect for couples or large groups who want to spend some quality time and relax together in the middle of a tropical paradise! 1) Your Adventure Connection van will pick you up at your hotel in the Arenal Volcano Area - be sure you are completely packed and that you have checked the hotel safe to make sure you haven't forgotten anything. Please be ready 5 minutes before the pick up time just in case we come a little early. 2) Please be dressed and ready for adventure! 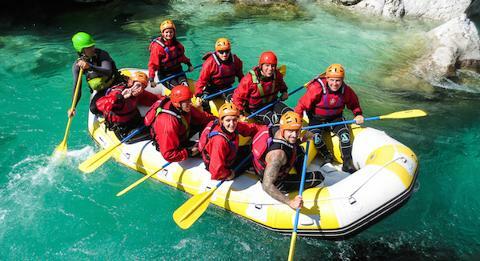 We try to be as efficient as possible on our Adventure Connections to maximize the fun you'll have on your tour. Please have a day pack ready with everything you'll need such as sunscreen, change of clothes, hat, secure shoes, etc. so you won't have to take time to change and get ready once we arrive at the tour starting point. 3) We will drive around the picturesque, but rather windy roads of Lake Arenal - get your last photo ops of our beautiful Arenal Volcano before heading toward the Valley of the Volcanoes where you'll see the Tenorio, Miravalles and Rincon de la Vieja volcanoes in the distance on the Guanacaste horizon. 4) We will make a quick stop half-way to stretch your legs and use the restrooms if you wish. 5) We then turn on to the Pan-American Highway and drive another 20 minutes to the Tenorio Adventure Route One Restaurant to meet up with fellow Safari Float adventurers and continue on about 5 minutes more to the bridge over the Tenorio River. 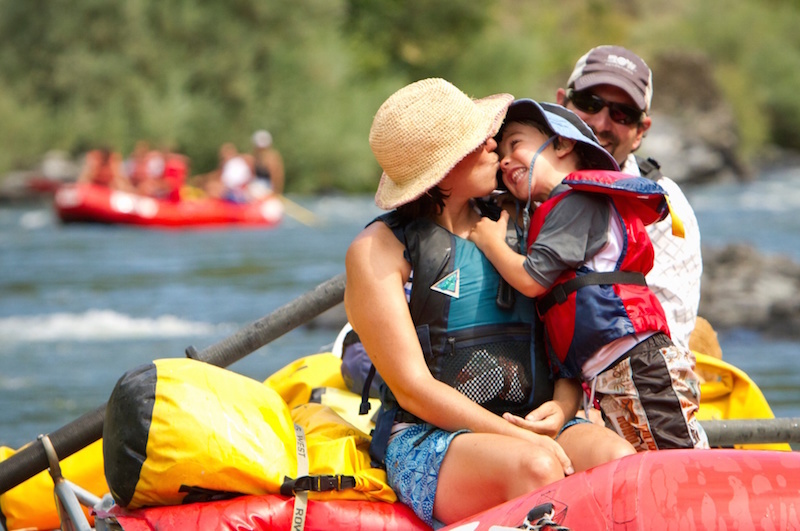 6) Once at the river, you will be provided helmets and a paddle and receive instructions about this informative float on a gorgeous tropical river. Be sure to have sunscreen as some sections are exposed while others have beautiful tree cover. 7) You will be on the river approximately 2 hours. At the end, you will load back up on your van and continue back to the Tenorio Adventures Route #1 Restaurant for a delicious traditional casado meal -- we like to say: "Have some FUN on Route #1!" • And a big smile! Your luggage stays in our vehicles and our driver stays with your items while you are doing your tour. 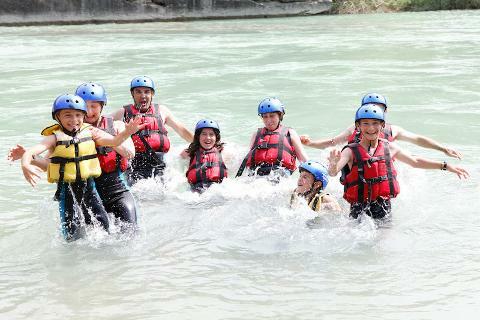 We have private entrances and exits for our rafting tour locations. Extra transport charge for drop-off outside of our regular hotel zone.